From the comfort of your home, you can make all the Cremation decisions with the FACTS and COSTS clearly at your fingertips. Don’t waste time driving around town, all paperwork can be managed by fax – phone or computer. Don’t worry about being pressured by costly funeral homes to spend more money on things you don’t need. Because we don’t have the overhead of a full service funeral home, we are able to offer Cremation at significant savings. $895 covers the Cremation & Disposition. Everything you need for Cremation and Disposition at one price. Since 1973 thousands of satisfied families have used California Cremation Society to find the answers, help and savings they desire during this difficult time. 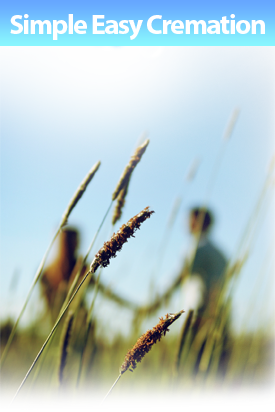 We would consider it an honor to have you place your trust in California Cremation Society. We really want to help you. 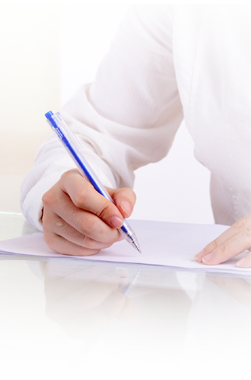 Obtaining and preparation of all the required authorizations, death certificates and permits. Initial notification to Social Security. Cremation process performed by licensed crematory operators in our licensed facility. Each cremation is performed individually. Release the ashes in a basic container or other container as determined by you. Scatter in the San Francisco bay near the Golden Gate Bridge. Special needs alterative container over 250 lbs. We promptly pick up and transport your loved one to our nearest facility. The body is cared for in a refrigerated holding facility until the cremation takes place. Family, friends or responsible party pay for the cremation. Our staff prepares the death certificate, disposition permit and other necessary State and County records. Cremated remains are taken to the California Cremation Society office in the appropriate urn (usually 7-10 days after death has occurred). If a death occurs at the Hospital, Hospice, Nursing Home or Assisted Living Center. Call the local Police. They will determine if the Coroner needs to be involved. They will authorize us to come and bring the body into our care. If a Death has occurred and the Medical Examiner or county Coroner is involved. before Faxing or sending in paperwork. Review the paperwork at your own convenience. No visit to a funeral home is necessary. Right Click, Click Save link to hard drive. or Click PDF image at left to open in Browser to Complete. 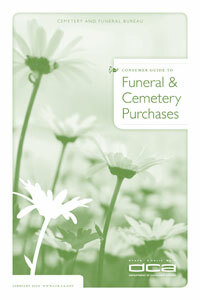 California Consumer Guide for funeral & cemetery purchases. Department of Consumer Affairs’ Cemetery and Funeral Bureau. Download Individual pages/paperwork as needed. This is the cover sheet with information on how to arrange a cremation online with California Cremation Society. This form is used to make sure you have everything you will need to complete the cremation process. This form is used to release the Decedent to the California Cremation Society. This form is used to collect the required information to complete the non-medical portion of the official death certificate. page 5 - Authorization for Cremation and Disposition. This contract authorizes California Cremation Society the ability to take charge of the cremated remains of the deceased. This form describes the details of the final disposition of the cremated remains. This form makes explicit the existence, or the absence of a pre-need arrangement. This form serves as written confirmation of the custodian's desires regarding embalming. page 9 - California Cremation Society's Statement of Goods & Services Price List. 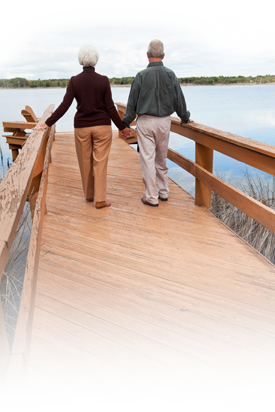 This page outline the services and cost you can expect form California Cremation Society. This page includes our Request for number of Death Certificates, obituaries, Social Security Information and payment voucher. Save 80% off cost of a traditional funeral. Simple, Easy, Quick Online process.